The first thing you'll notice when you walk into one of our offices is the incredibly friendly and inviting atmosphere. Members of our staff have been hand-picked to provide you the best possible experience during your visit to the dentist. Learn more about our team below. 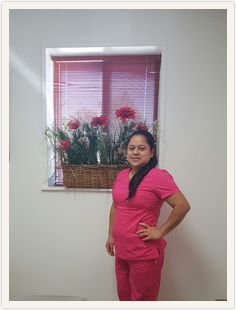 With the practice for 30 years, Rosa is the Office Manager and jack of all trades. Also with the practice for many years, Maria is our financing and insurance expert. She is also our local community liaison. 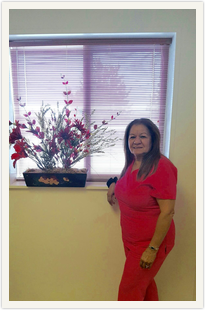 For over 25 years, "Liz" has served as receptionist at our West Long Branch office. Familiar with all phases of our office from front desk to chairside assisting. Licensed dental radiology technician. 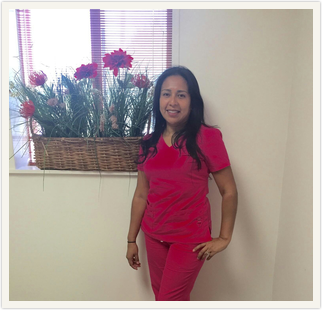 Licensed dental radiology technician and chairside assistant.